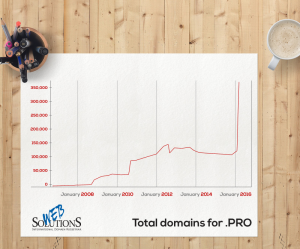 The .PRO domain is the "latest favourite” in the domain industry. The extension is showing very dynamic growth. The .PRO extension, initially launched in June 2004, is a domain designated for professionals. Since its beginning until recently, its availability was limited to a few industries and countries. .PRO domain names could be registered by lawyers, accountants, doctors and engineers from the US, Britain, Canada and France. However, this policy did not prove very effective – in fact, it excluded thousands of professionals, including policemen or firefighters, from access to this meaningful extension. 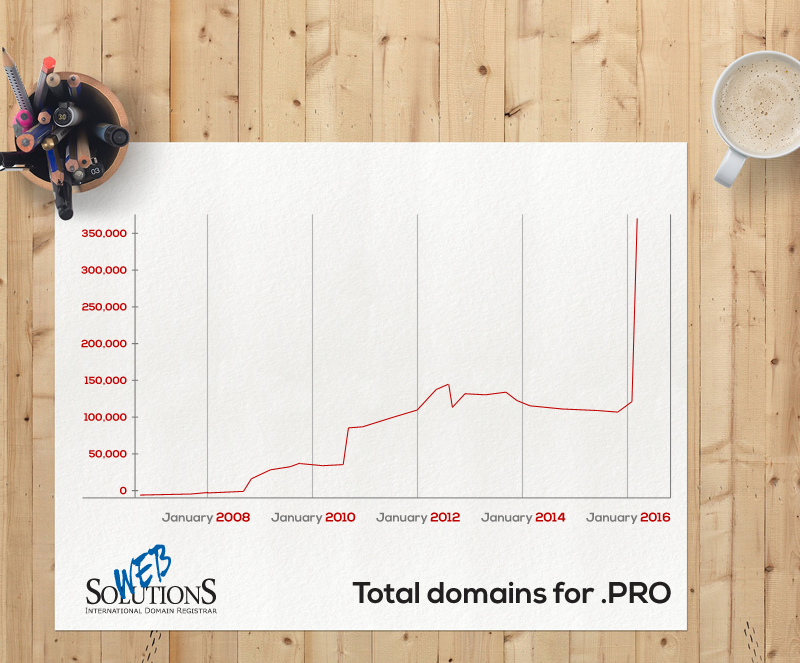 In 2008, the .PRO Registry reported mere 6.9 thousand registered domain names. In September 2008, the .PRO Registry relaunched the domain and enlarged the potential customer base, but its availability was still limited. Registrants had to be government certified experts, however, access to .PRO domains no longer depended on the registrant’s country of origin. Additional changes on the management level took place in 2012, when the number of registrations under .PRO was around 160,000, falling to 120,000 in July that year. But it was not until November 2015, when restrictions on the domain registration criteria were lifted and .PRO was made available to all professionals, that things turned around for .PRO. 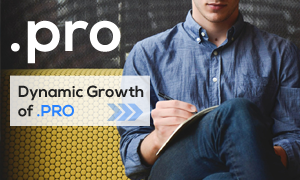 The number of registrations within the .PRO extension skyrocketed in 2016, with the gain over 50,000 new domain name registrations. The growth curve illustrating the dynamics of .PRO registrations is practically vertical, according to RegistrarStats.com. The increase is even more impressive given the fact that .PRO addresses are not widely available at all registrars worldwide. It seems to be a good time to invest in a professional Internet address with the .PRO extension that will set your website apart among the competition. Whether you are a CPA, a photographer, an architect or interior designer, piano teacher, or a specialised auto technician, a short and meaningful .PRO address will be a good fit. It will attract potential clients who want to work with a professional. To check if the name that best suits your needs is available, please use our search tool. If you need assistance, contact us at support@web-solutions.eu.